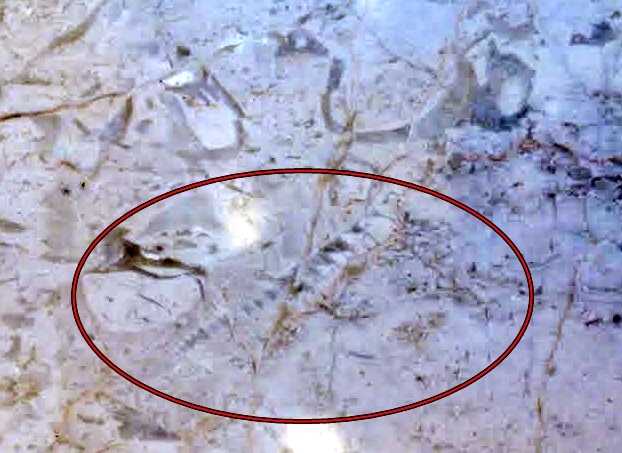 We have located this fossil in our home marble floor - the marble variety is Crema Marfil (origin Spain). Is this a Trilobite? I'm pretty sure it isn't a trilobite. It looks more like a coral in cross section, to me. Maybe some others will weigh in. I agree it's a coral, next to a gastropod section. I could be wrong here, but Marble is a metamorphic rock, so it should not contain any fossils. 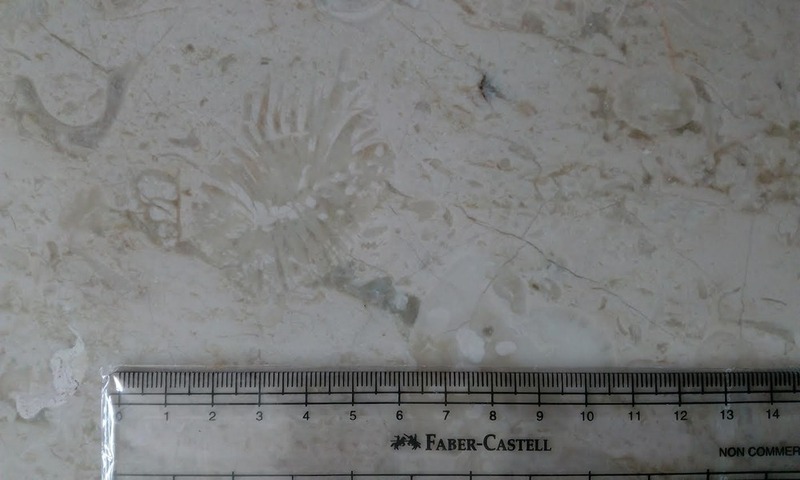 If your flooring is made of a limestone material (which marble metamorphosis from) you could potentially have a fossil hidden in there! The term "marble" is used loosely in the trade. I agree there's little or no metamorphism to that piece. Crema Marfil from Monte Coto is an Eocene limestone. Much too young for trilobites. I also see a cross section of gastropod and of coral.  Thanks for all your replies! Is there a way to estimate how old these sections may be? "Crema Marfil Commercial: this is a light-beige yellowish coloured marble, with uniform background. It presents several irregular vein, some calcite and may present strong signs of fossils. This is the commercial type of the Crema Marfil, with large supply but also demand." 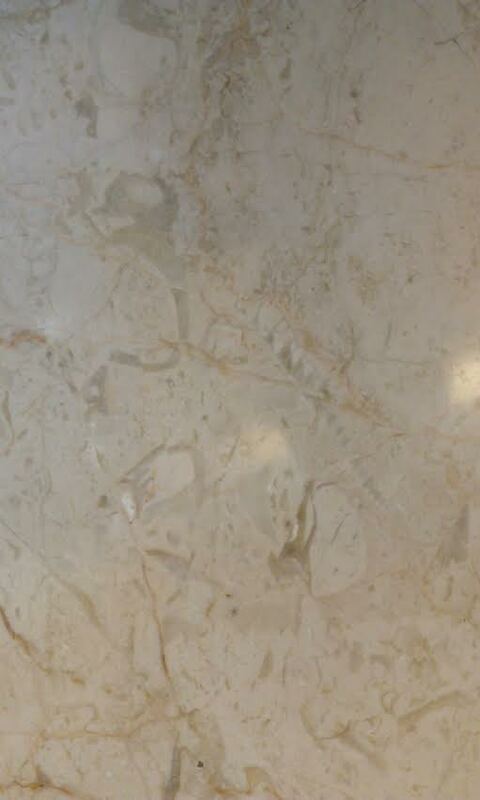 Crema marfil is a "strongly consolidated limestone".It is probaly Paleogene(eocene? ),as nummulites* are found in it . Geological details are scant to nonexistent,BTW. A very large quarry seems to be located in Spain. Marble often represents very low grade metamorphism so although the limestone gets a bit cooked it doesn't obliterate the fossils. Sometimes we see fossils that were stretched or deformed in very hard shales on their way to becoming slate. In a river near my house i found cross-sections of rudists in stones that look like a marble of the area. This discussion has been most informative! I am attaching one more picture from the same marble floor. Wondering if this is just a snail shell fossil or a backbone?? I think a high spired snail. If it is indeed Eocene in age. If it was older, I would say orthocone cephalopod. I think that one is a gastropod,as well. That's what i did, i went to my club to cut one and then i polished one part, i had to glue the other part because it had broken.